Han Lin, a 39-year-old Chinese insurance worker, has become increasingly concerned about her job lately. But her worries don't particularly stem from her duties. She is concerned because of fears that one of the partners in a joint venture with the company she works for is about to leave. And Han is not alone. Joint venture divorces affect many and these ventures have a tendency to split, usually due to irreconcilable differences. And in the insurance sector, which has seen an increasing number of corporate intercultural marriages, there is the danger of suffering more divorces than Elizabeth Taylor. Han has worked for Sino-US Metlife, the Beijing-based joint venture between US insurer Metropolitan Life Insurance Co and the State-owned Capital Airport Group, for two years. Now insiders are suggesting that the Chinese partner is planning to quit as it looks to focus on its core business. "As the State Assets Supervision and Administration Commission (SASAC), the watchdog of China's largest State-owned enterprises (SOEs), tightened the performance evaluations of the top management of those SOEs, they could hardly be patient with the business development of their joint venture life insurance companies which usually lose money in the first seven to eight years," says Zheng Wei, an insurance professor with Peking University. A difference in profit expectations between joint venture partners can be one of the major reasons for divorce. Chinese partners, especially private ones, are more eager to cash in and usually don't want wait long before they do so. 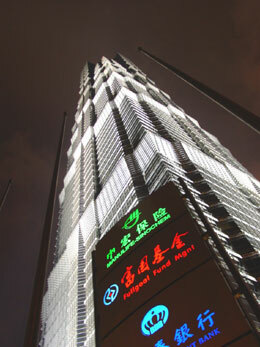 Allianz Dazhong Insurance Co is both a typical and the first example of this. In 2006, the China Insurance Regulatory Commission (CIRC) approved a stake change under which CITIC Trust and Investment Company (CITIC Trust) would take over Dazhong Insurance Co's 49 percent stake in the joint venture with Germany-based Allianz, which was established in 1999. Analysts say there was a touch of bluster and claim that the long-term losses of the joint-venture insurer were the real reason for Dazhong's departure. Dazhong had been longing for a listing but the once-profitable company saw a huge loss of 130 million yuan in 2003, the year it planned to go public. The next year was not much better; the company suffered a loss of over 50 million yuan, of which some 18 million yuan was attributed to Allianz Dazhong Insurance. "After six years of losses, Dazhong lost its patience," says an analyst with China Securities. "And transferring its shares in the joint-venture life insurer is a good way to make profits in the short term." But the partner seems happy with the split. "We are very pleased to find a new partner in CITIC Trust, which shares our strategy for rapid growth and expansion in the China life insurance market," says Werner Zedelius, board member responsible for growth markets of Allianz AG. Such split-ups in part epitomize the Chinese insurance sector's opening process. From 1980 to 2007, China's insurance premium sales have seen a growth of 1,650 times, jumping from 460 million yuan to 703.5 billion yuan, making insurance one of the most rapidly growing industries in the country. In February 1979, the People's Bank of China decided to reopen the insurance sector at home, giving the industry a strong boost after more than 20 years suspension since 1958. However, the development road is not always even. In the memory of Ma Mingzhe, chairman of Ping An Insurance, people in 1980s had no idea about the insurance at all. And when Ping An, the country's first private insurance company opened in 1988, most of enterprises had a hard time accepting the fact that there would be two insurers in the country.